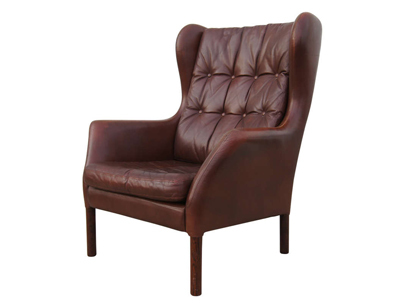 This wingback chair is upholstered in tobacco brown leather and is supported by cylindrical solid rosewood legs. 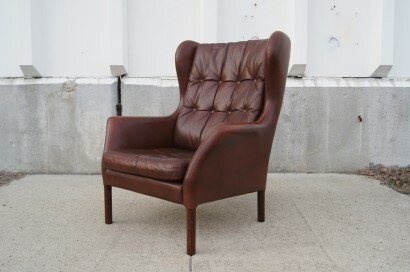 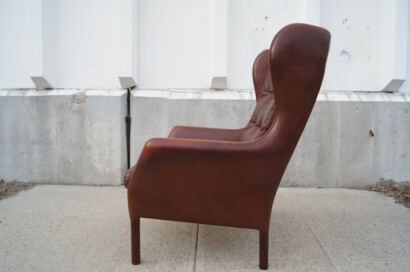 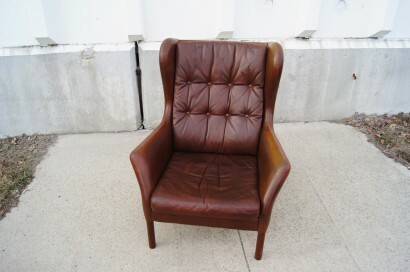 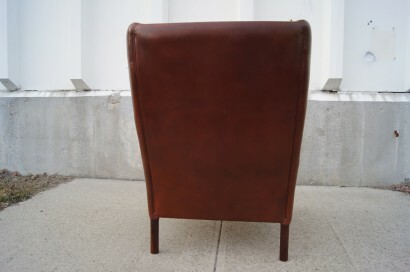 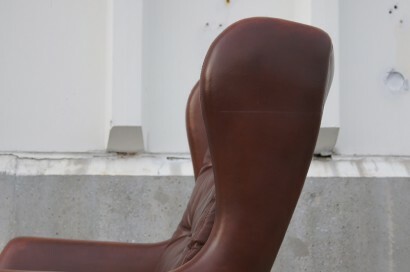 The chair has aged well and features a rich patina and beautiful wear to the leather. 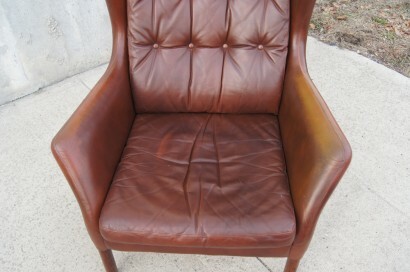 Good vintage condition. 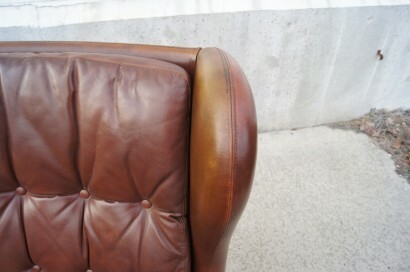 Leather is very worn and some stitching is lost.